If you are looking for a new home loan to switch to or a new home loan to sign, we might have the most appropriate suggestion for you: DBS’ home loans. You can read about the history of the DBS home loans and to understand what is the best DBS home loans. Based on the home loan data that we have collected over the past 4 years, DBS has emerged as one of the frontrunners for the “Best Home Loan” award (if there’s such a thing). There’s also an interesting finding that we observe from the data, which can help you hunt for a better home loan deal with DBS. Here are what DBS home loans can offer right now as it is always updated and a mortgage broker or banker can get in touch with you quickly. One of DBS loans’ selling point is the fixed home rate (FHR) benchmark rate that it offers to consumers. The FHR is the prevailing interest rate that DBS offers on its fixed deposits that falls below $10,000. The current FHR that DBS uses is the 8 months fixed deposit interest rate (FHR8). Right now, DBS’ FHR8 is 0.20% per annum. Over the past 4 years, DBS’ FHR has been decreasing. You might find this inconsistent with what you have been reading on the media, especially when you keep hearing about US Fed trying to raise its Fed Fund rates. This is because DBS has been adjusting its FHR over the years. Initially, DBS offered FHR that stood at 0.40%. As time went by, DBS changed its FHR rates to shorter time periods, i.e. FHR 9M in 2016 (DBS FHR 9) and FHR 8M in 2017. While this is a surprising fact to many, it is a welcomed surprise, especially for those of you who have already signed the loan package.That being said, for new homeowners, this might be more of a neutral news for you as the net interest rate payable has stayed consistent over the past 4 years. This is because of the increase in DBS’ spread on its FHR pegged home loans. In 2015, DBS’ FHR home loan interest rate was between 1.78-2.28%. At that point in time, the FHR was 0.40% with spread of 1.25-1.60%. However, DBS’ FHR fell lower during late last year to 0.25% and proceeded to decline another 0.05% to 0.20% in January 2018. To keep its net interest rate consistent, DBS raised its spread to 1.65% in 2017 and 1.75% in 2018.If you are one of those new homeowners on the lookout for good loan deals, you might want to consider the DBS FHR-8 this could possibly be one of the best DBS home loans in the market place. If you are looking for better offers, here are what other banks can offer. 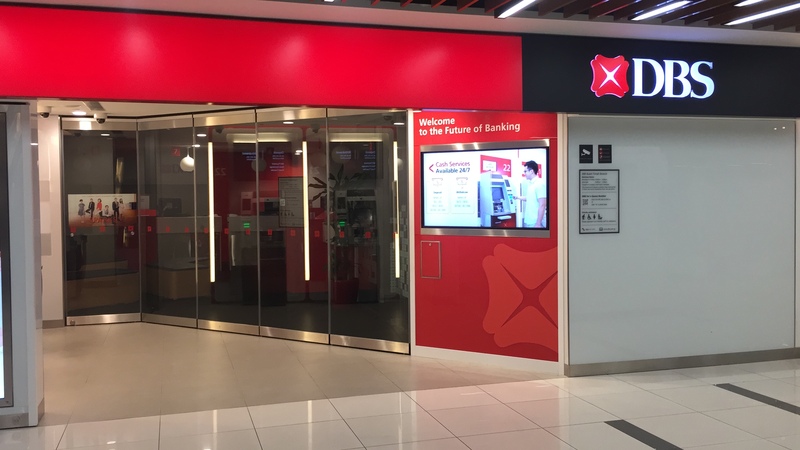 While most of its banking peers have SIBOR pegged loans, DBS seems to be avoiding SIBOR loans as much as possible lately. This could be because SIBOR rate is not within DBS’ control, unlike FHR8 which is determined by DBS. This allows DBS to better price its home loans compared to the two other local banks. So, if you are considering a SIBOR pegged loan, DBS will not be your go-to bank. Moreover, with FHR typically lagging SIBOR, it also gives consumers a better benchmark rates and gives UOB and OCBC a run for their money. As at May 2018, Sibor is not considered one of the best dbs home loans. Similarly, DBS has also been phasing out its fixed interest home loans. Back in 2015 and 2016, DBS had a sizeable offering of fixed interest home loans. After it came up with the FHR, DBS has been steering clear of fixed interest home loans, especially in an environment of rising interest rates. But that could soon change as the flavour changes accordingly. How To Get the Best DBS home Loans Deal? If you are looking for ways to get a better loan deal from DBS, here’s a tip for you: Buy insurance. Over the years, we observe a trend of discounted interest rate for home loans that mandate buying of mortgage reducing term insurance. You can find yourself paying interest rates that are 0.20-0.30% lower for those home loans. For other similar home loans that mandate buying of mortgage reducing term insurance, DBS offers the no lock-in option with interest rates comparable to lock-in home loans. But often, it is best not to mixed Mortgage Insurance with getting the best dbs home loans, this is because when you start to bundle too many things together, it is hard to judge which is good and which is not so good. Also Insurance sold by banks do not come with as good a service generally compared to those offered by financial planners/advisors. In case DBS home loans are not your preferred choice, there are many packages that are better than DBS from time to time. Not all banks are good all the time, some banks have other flavour of good home loan packages some times. And often there are many other factors such as valuation, credit, credit approval, litigation checks, legal conveyancing, purchase time frame and process, downpayment factors, TDSR home loan affordability, nationality, IRAS (taxation), Buyer stamp duty, Additional buyer stamp duty, Loan to value, liability due to outstanding loan, legal conveyancing, negotiation and so on, etc. And different banks have different characteristics and differ in terms of how fast they approve your loans or process your home loan approval in principle for buying a property. So you may want to talk to a mortgage broker who is familiar with all these processes.